I can't believe how quickly the months are flying by. It's May already and summer is nearly here. With the onset of spring and the welcome fresh new growth after the winter I have been hard at work behind the scenes putting together my new range of landscaping materials specially selected for their suitability for 1/48th scale and smaller. You can read about these below along with some 'How To' tips to help you get started. Above is a photo showing a few of the new products along with one of my house base kits which are ideal for using along with the landscaping materials. These specifically selected premium materials have been chosen for their suitability for use in 1/48th scale and are provided in handy packs to suit 1-2 projects depending on size. I have designed my own set of laser cut fencing which are cut from a special wood pulp board which doesn't split at the edges but can be easily cut with a craft knife and painted with standard acrylic paint. It also has a very unique property that allows the fencing to be bent to shape. Just dampen the fence both sides and curve round an object and leave to dry. Once dry it will hold the curve permanently and can then be glued to your layout. 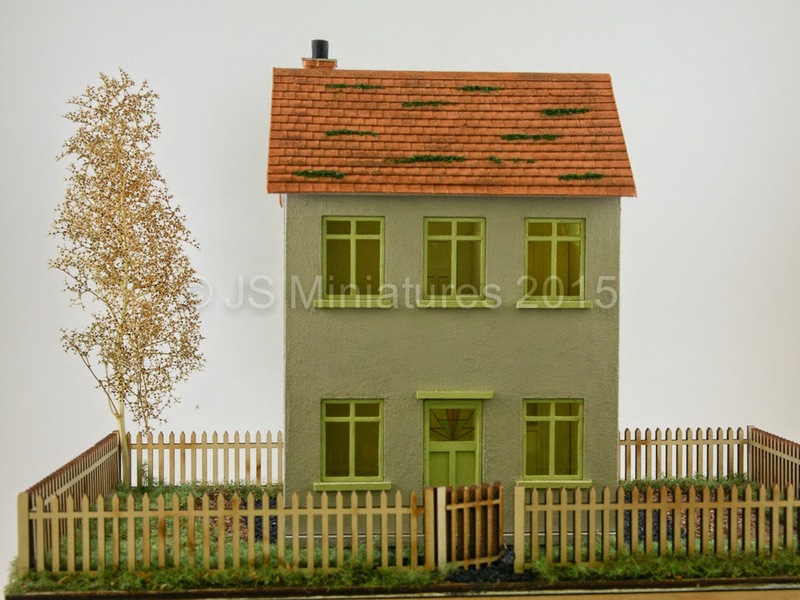 Other materials include a range of scatters for trees, bushes, hedges, flowers, paths and sand for beach scenes. Selection of ground materials for paths, earth and grass. 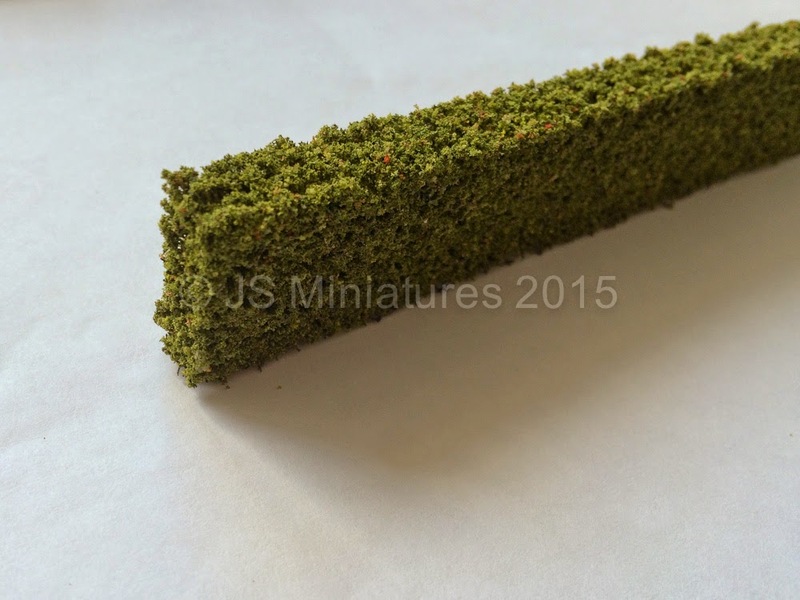 Hedges are pretty easy to make or you can choose our pre-made formal hedge. I have in stock two types of tree making materials. For those who are more experienced you can buy a length of tree making wire which can be separated and twisted to form the shape of any style of tree you like. The wire structure can either be simply sprayed brown with spray paint or covered with air dry clay or Milliput to form a thicker truck and branches and then painted. The other option is a Seamoss tree which is a natural material which has a very realistic tree structure. This can be used as is for a winter tree or scatters can be added to make a 'leafed' tree. Simply spray with spray adhesive and dip or sprinkle the scatter over the top and leave to dry. You can add blossom or fresh growth by dipping ends of branches in PVA glue and adding light green scatter for fresh growth or coloured scatters for blossom. Seamoss can also be used in small piece for shrubs and bushes. It is quite delicate as it is a natural material so should be handled gently. I have two hedge materials in stock. The first makes informal or formal hedges and uses rubberised coir as the base structure. These are pre-cut and painted and ready for you to add your chosen scatter materials to. The other hedges are formal hedges with a foam core. These are pre-made and ready to go. The hedge kit comes with 4 pieces of pre-painted 'hedge', 6" long, 1" high and 1/2" wide, perfect for 1/48th scale. 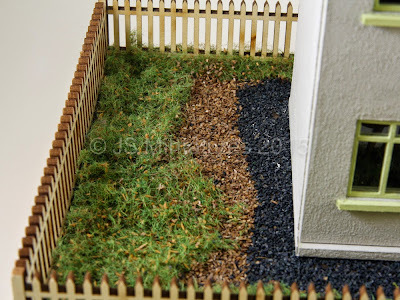 Cover the hedge with your chosen scatter colour(s) and then spray throughly with the scenic glue. Spray with hairspray or artists fixative (use a ventilated area) and leave to dry for 24 hours. You should then have a robust, flexible hedge which can be trimmed to make a formal hedge. The rubberised coir can also be teased out before adding scatter to make a wild countryside type hedge. Thanks Pepper. Yes, you're right and most of the scatters can be used for larger scale as well. Yes, I know.... it's the blog that suffers when I'm really busy! Thanks! I tried to get a good selection so that's great that you like what's available.